It’s time is slogan of VII Beach Handball World Championship and now it is really time for this fantastic sport as Championship started today in beautiful island Margitsiget in the middle of Danube and Budapest. Organisers did their best in order to give players from 24 national teams (12 teams in each gender) opportunitiy to show all qualities of this fast and attractiv sport. Both Brasilian teams are defending champions from previous BH WCh edition in their country, in Recife, two years ago. 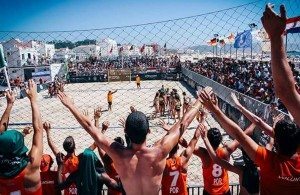 They will be chalenged from all other national teams, but it is expected that girls from Hungary, Norge, Italy and Spain will try to save “proud” of Old continent, while in male competition team leaded by Antonio Guerra Peixe will have strong opponents in Croatia, Qatar, Hungary and Spain. 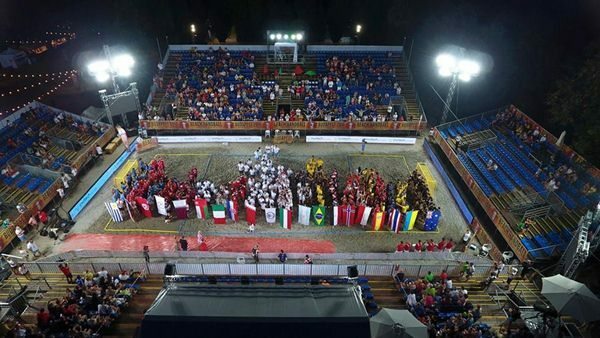 In first two rounds played on Tuesday, both victory in female competition won Hunjgary, Italy, Spain, Brasil and Norway, while in male competition authority showed teams of Brasil, Croatia (with two shootout matches won), Hungary and Qatar. Championship will finish on Sunday, July 17. All matches you can follow wia internet live stream on official web site of the BH WCh:www.beachhandball2016.com. ← Previous Story Blaz Blagotinsek at Veszprem! Next Story → French team ready for Rio!